Articles in this volume are based on talks given at the Gauss-Dirichlet Conference held in Göttingen on June 20-24, 2005. The conference commemorated the 150th anniversary of the death of C.-F. Gauss and the 200th anniversary of the birth of J.-L. Dirichlet. 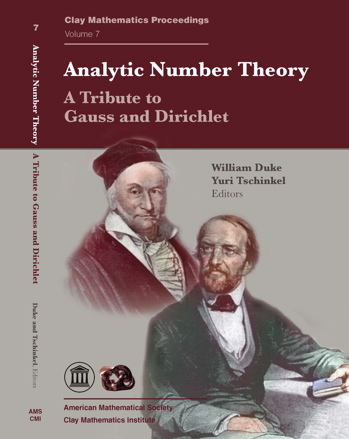 The volume begins with a definitive summary of the life and work of Dirichlet and continues with thirteen papers by leading experts on research topics of current interest in number theory that were directly influenced by Gauss and Dirichlet. Among the topics are the distribution of primes (long arithmetic progressions of primes and small gaps between primes), class groups of binary quadratic forms, various aspects of the theory of L-functions, the theory of modular forms, and the study of rational and integral solutions to polynomial equations in several variables.